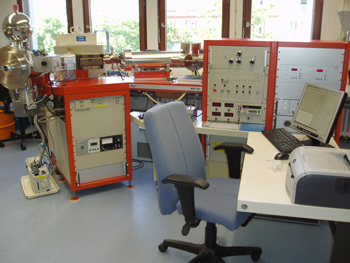 Thermal ionization mass spectrometers (MAT 261 and ThermoScientific Triton) for the measurement of isotopic abundances of elements such as strontium, lead, neodymium, osmium. 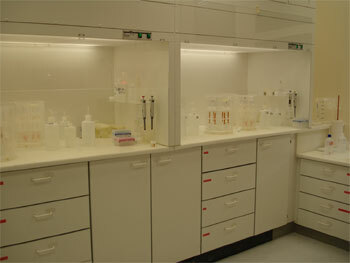 Ultra-clean laboratory with laminar-flow work benches for the chemical separation of elements. Facilities for the preparation of sample powders and mineral separates. 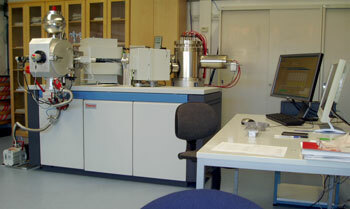 ThermoScientific Triton - thermal-ionization mass spectrometer. Spectromat-upgraded Finnigan MAT 261 - our work horse for many years. Laminar flow bench with ion-exchange columns for element separation from sample solutions. 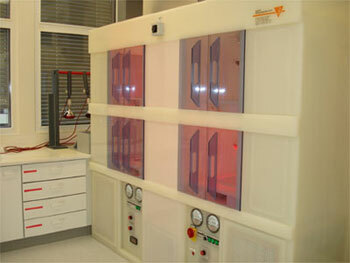 Cabinet with hotplates and infrared lamps for drying sample solutions in "dust-free" (triple-filtered air) environment.